We had such a lovely stay, thank you! The gorgeous scenery and beautiful touches in the cottage made for a very relaxing stay. 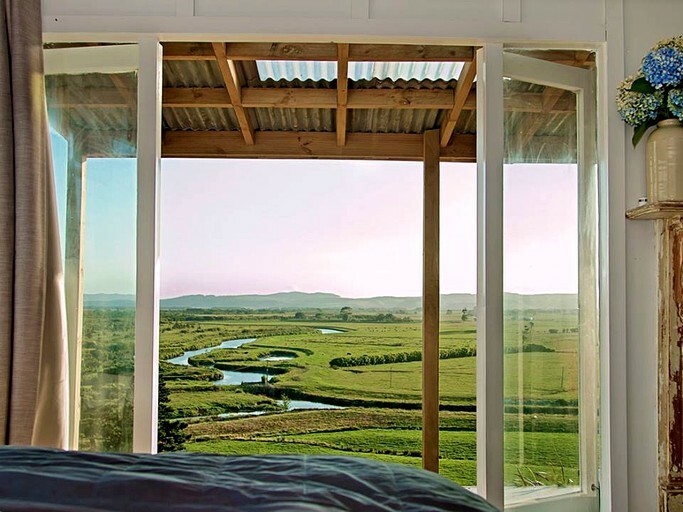 This off-the-grid, luxury cottage is located in a peaceful setting overlooking the Waikato River in Waiuku District of Auckland on the North Island of New Zealand. There are one bedroom and one bathroom, and the bedroom has a king-size bed and double doors leading out onto a private balcony offering great views of the Waikato River and the surrounding greenery. 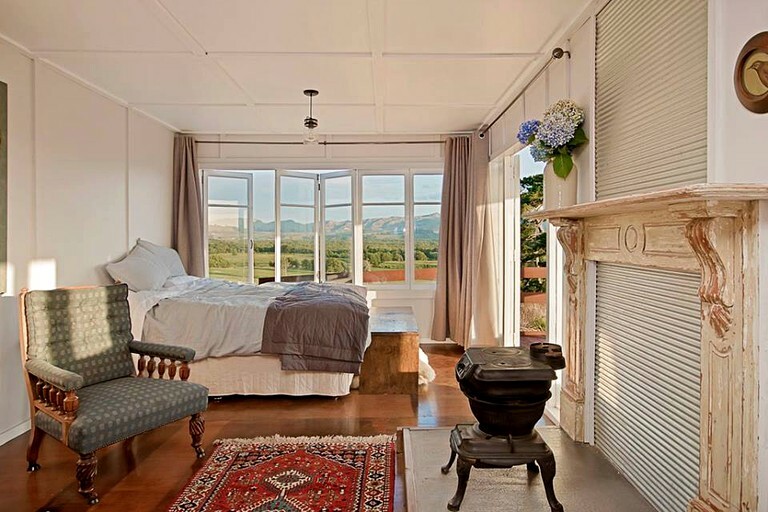 Guests can enjoy the sunset from the comfort of the bedroom, or step onto the terrace to take in the fresh air. All linens, toiletries, and towels are provided. The bathroom has a shower, a toilet, and a sink. The fully-equipped kitchen comes with a range of modern appliances for guests to cook a tasty meal. 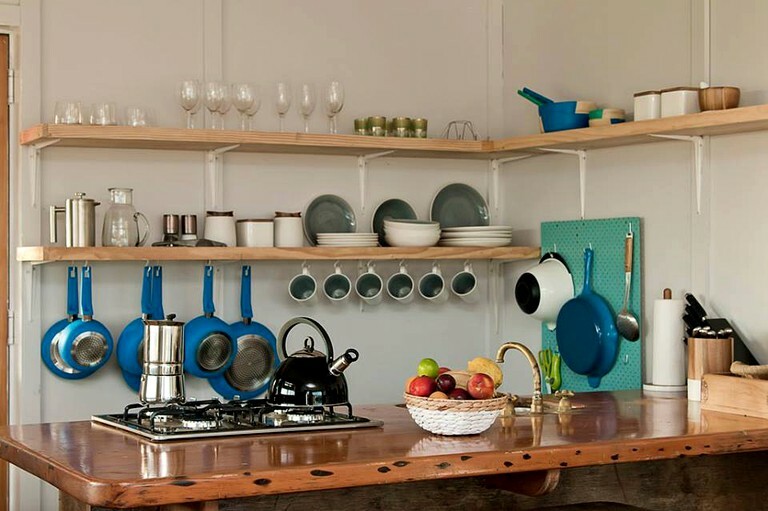 There is a refrigerator, plenty of utensils, and a sink. There is no oven, so cooking can be done on a gas hob. Other amenities include comfy vintage chairs to relax on, and a wood-burning fire to warm up by on a chilly evening. Guests will have access to a wood-burning fireplace indoors. 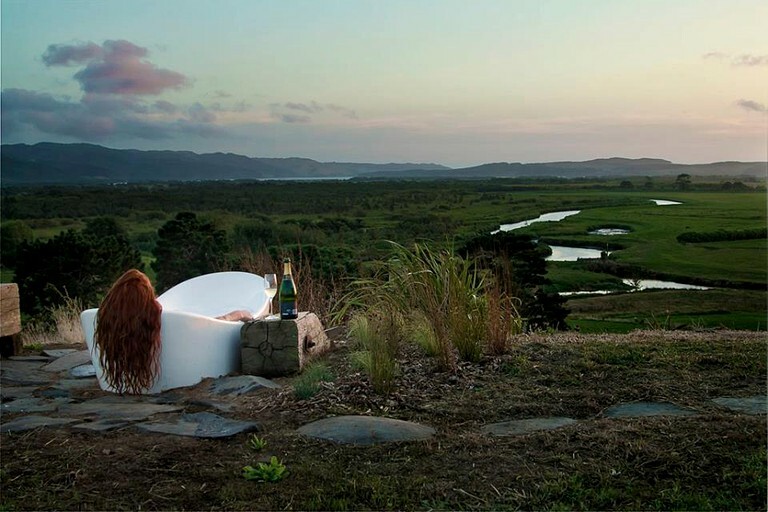 Outside, there is a barbecue for al fresco cooking, and a fabulous outdoor bath facing the sunset. There is also a private boat ramp for guests who wish to bring a boat (all river activities are tide-dependent). Plenty of free parking is available on-site. Sporty guests can enjoy a range of facilities such as horseback riding (BYO horse) boating from the ramp, or punting on the flat bottom (very stable) duck punts. There is a great mountain bike park at Puni (10 minutes from cottage)and a bike/walk track through the bush on the farm. The property offers an included four-wheel drive service where guests to drive themselves or be driven, to the almost four kilometers farm track to the cottage. 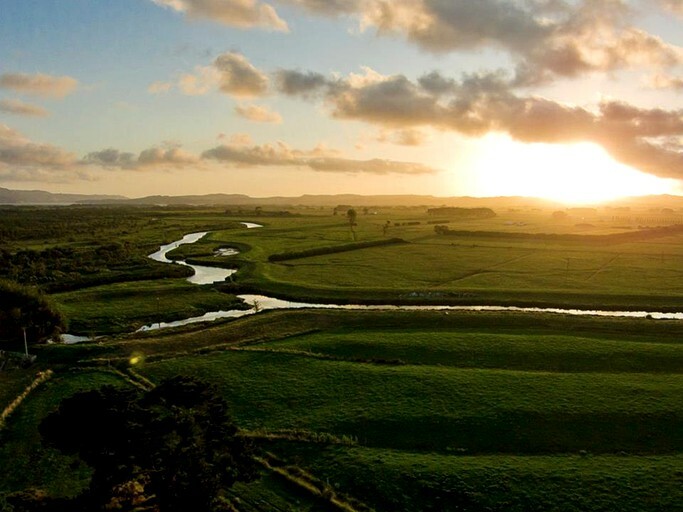 This property is located in the rural Waiuku district in Auckland, New Zealand. 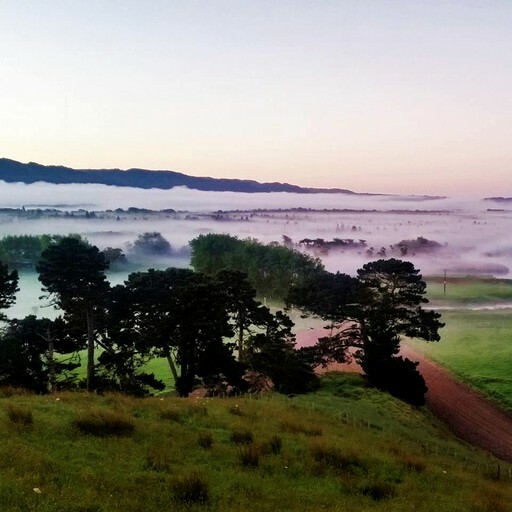 The setting is on a beautiful hill overlooking the Waikato River, as well as acres of natural habitats and bird nesting areas. Surrounding the property are exotic trees and wildlife, reformed spawning ponds, and winding streams to explore. 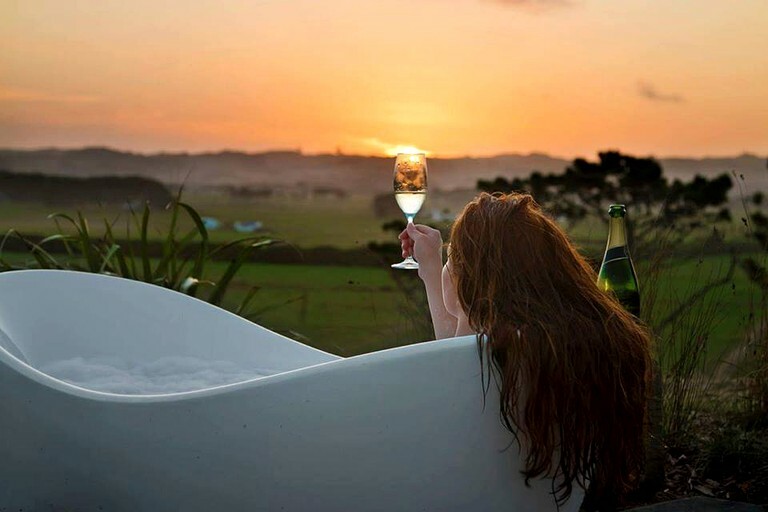 The property is only 15 minutes from Waiuku, where guests can visit the Awhitu Peninsular and the black sands of Kariotahi beach on the west coast. 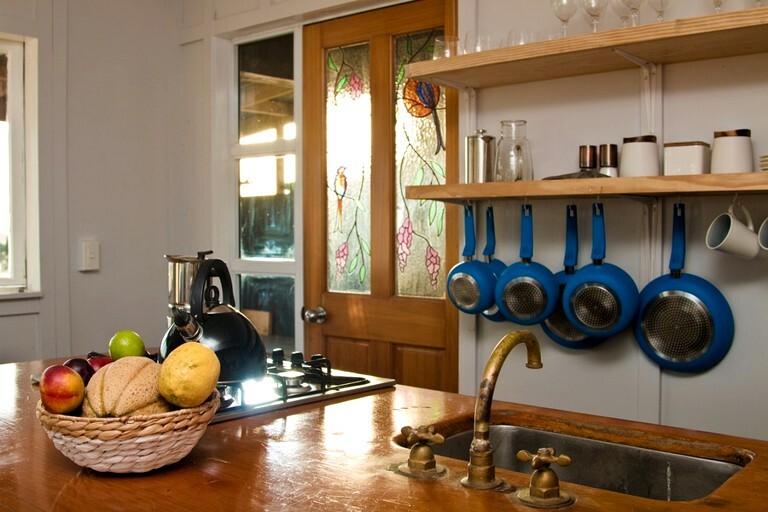 The property is only 15 minutes from Waiuku, where guests can explore the Awhitu Peninsular and the black sands of Kariotahi Beach on the west coast. On the windy beach, there is a range of sea activities to enjoy such as surfing, swimming, and blow cart sailing. 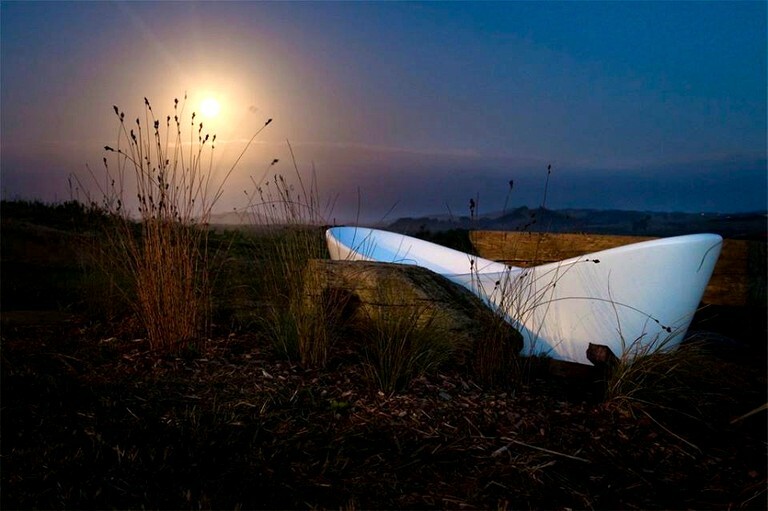 The location is also perfect for enjoying the beautiful sunset at night. The area is also ideal for outdoor activities of all kinds. Whitebait fishing is available on the river delta, where guests can explore by boat. The surrounding mountains are also home to endless trails for hikers and mountain bikers alike. There are three acres of the native bush block near the cottage, with beautiful sunset views by the wide open space. There is plenty of good trails and log jumps for horseback riding. Guests are welcome to bring their horse and ride around the creek banks on the farm. Birdwatchers will also enjoy this area, as the property overlooks a rejuvenation project that aims to revive the areas for the endangered Matuku and Matata birds, or Bittern and Fernbirds. This is a non-smoking property, with a maximum occupancy of two guests.